Courtesy of Bryan Kerrigan, Redfin Corp. THIS TRULY BEAUTIFUL HOME IS BACK ON THE MARKET AT A SIGNIFICANTLY REDUCED PRICE! This unique Takoma Park home includes a legal, permitted apartment with almost 600 finished square feet and private access in rear, which currently generates $1,150 in rent each month. 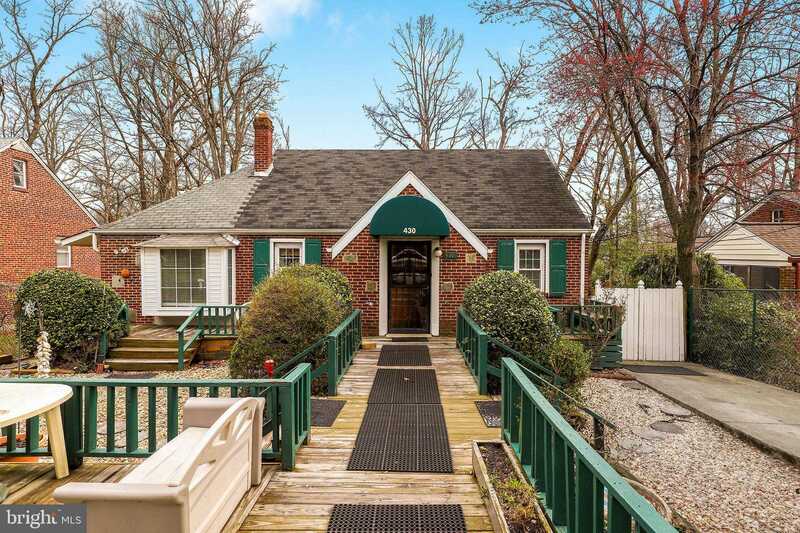 The primary home, with hardwood and laminate floors through most of the main level with a rear addition over the apartment, is over 1,500 finished square feet above grade and includes it’s own 400+ square foot finished basement with a second kitchen area. Lots of natural light and decks in front and rear! Fantastic Location; Takoma Metro & Historic District, Shopping, DC Hospital and Sligo Park close by. SOLD AS IS. PLEASE NOTE THAT THE APARTMENT IS SEPARATE FROM THE BASEMENT IN THE MAIN PART OF THE HOME AND IS ACCESSED FROM THE REAR OF THE PROPERTY.